With over 30 years of experience in the beauty industry, Arturo Juarez has established himself as one of the foremost designers and hair colorists in the country. He has participated in educational events in Mexico and the United States, sharing with professionals the principles of Redken with unique friendly & funny style. His ability to make technical concepts easy to understand enables his students to apply their learnt skills behind the chair with confidence and ease. As a Redken Performing Artist, he continues to inspire hairdressers with his cutting edge approach to color and inventive techniques. In his effort to find and share knowledge, he visited New York, Las Vegas, Puerto Rico, Chile, Colombia, Amsterdam and the many cities in México. 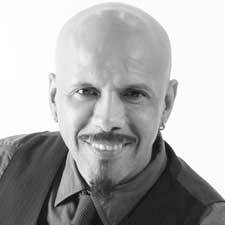 He has performed at Redken Latin symposium, work-shops and catwalks.